Nobody has powers over the natural disasters. When one comes up, the repercussions are very bitter since a number of people may end up being killed and valuable properties can get destroyed in the process. One of the natural tragedies that is known to be very dangerous is the earthquake. In just a matter of seconds, the environment changes; fallen buildings and structures are the outcome of it. It gets worse when people have to lose their lives. Not long ago, Nepal was struck by an earthquake which took the lives of at least 8300 people, not including the number of the injured ones. All faith was lost as numerous families lost their loved ones. One of the victims of this terrible earthquake were, the Sonit Awal family. When they could not find their child after the earthquake’s outcome, they were totally distressed. They lost hope of seeing their son again. Then the unexpected happened. 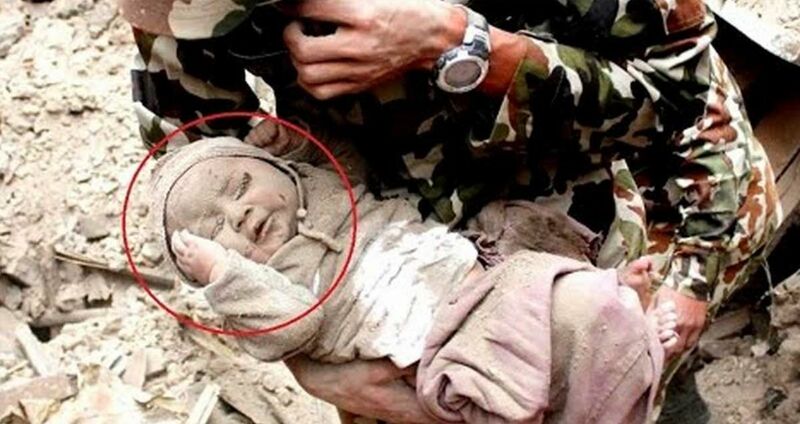 Sonit was found amongst the rubble when some soldiers were digging through it. This is surely one of the heart calming stories in the middle of hard times. The video below has the entire story. What is your point of view as per the story is concerned? Don’t forget to SHARE this touching story with all your friends out there on Facebook!